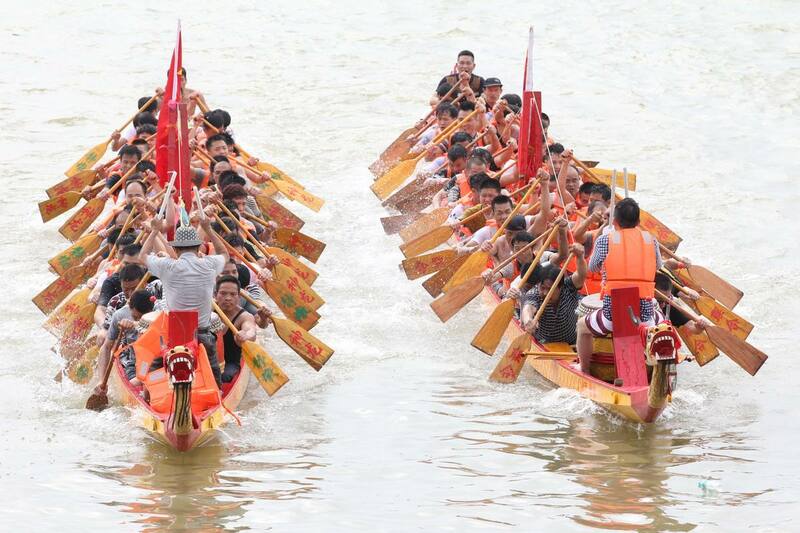 Dragon Boat RaceA Dragon boat race is a traditional amusement activity in dragon boat festival. Today, my mother took me out to watch dragon boat races. I was very excited, because this was my first time to watch such race. When we arrived at Nanhu Park, there were hundreds of people around the two sides of the river. We found a place can see the match clearly hardly. The participate sat on the boat look like dragon. When the signal to start set, everyone on the boat tried their best to make the boat forward. And the people who were watching also cheered them. The air was very lively.